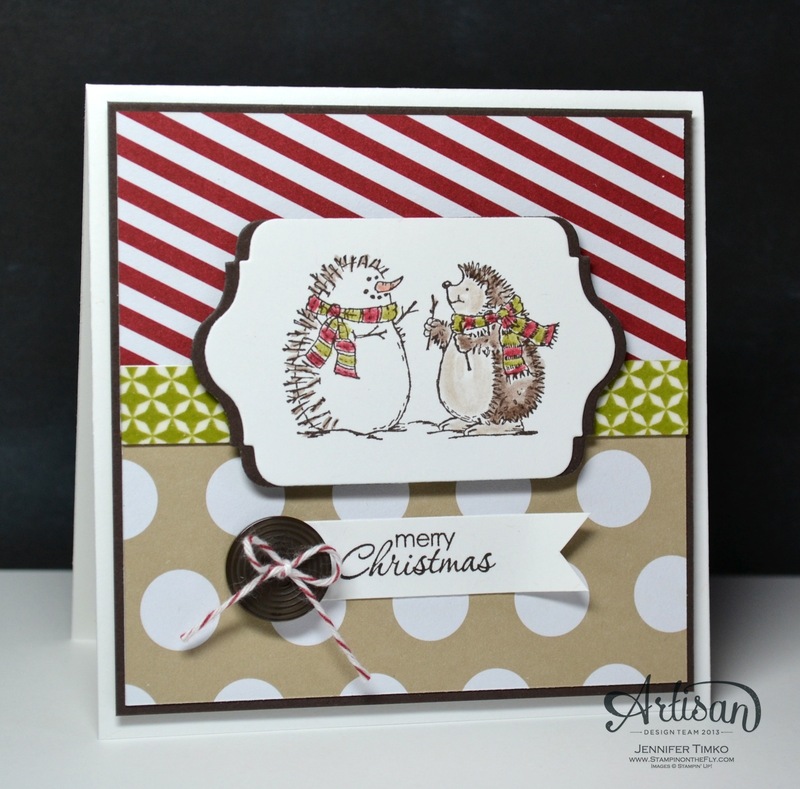 As a member of the Artisan Design Team for Stampin’ Up, I get some amazing privileges! Today I get to show you one. 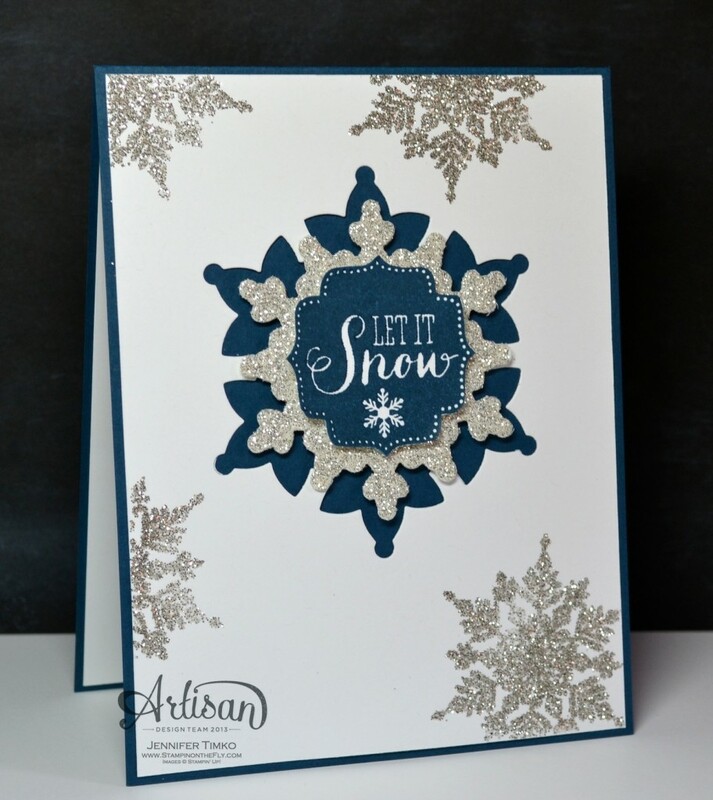 I was lucky enough to receive the new Best of Snow stamp set prior to its release and create some projects for the SU Blog. 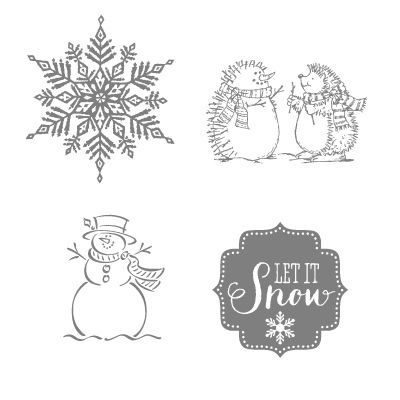 Please check out the whole post here: The Best of Snow Stamp Set. All of the specifics are over at the Stampin’ Up Blog but I’m glad I get to share here too! Thanks for letting share my fun with you! I will be back next week with the latest from the whole Artisan Design Team and our new November box! Until then, I appreciate you stopping by. Have a great weekend! It’s great to see some old favorites again! That snowman was one of the first SU sets I ever bought and I STILL have that snowflake! It’s one of the best snowflakes ever! I love how you’ve used all the images and congrats on the feature on the SU blog! Aha….now I see why you & your home were covered with silver glitter! Just BEAUTIFUL! Okay Jen, your first card is gorgeous!!! I wasn’t going to get this stamp set nor the framelits but after seeing this card, wow!! Beautiful card. Love all the other cards, all of them are so cute! Can’t wait to get the Best of Snow stamp set in my hands. Beautiful cards! So happy to see Frosty! Love the return of Frosty! Is the frosty stamp in best of snow the same size as frosty from the original Frosty stamp set? Frosty was the very first stamp set I purchased from SU! in 2003-ish and when I converted all my stamps to cling mount I did a terrible job of cutting the rubber. I’m really tempted to get this set just to get Frosty and the snowflake but I thought I read somewhere that the newer version of Frosty is smaller than the original? Love your cards, Jen!